The Reverse Experience is a very special Reversi / Othello player. It includes a powerful game-search based optimization engine that allows to customize the game`s various play strategies. The Reverse Experience is a very special Reversi / Othello player. It includes a powerful game-search engine allowing for customization of the game`s various play strategies. The game will select from different strategy scenarios to play against you, depending on the level you choose. So the game play itself will be different, with each level. By winning you can explore new strategies. Includes full docs. 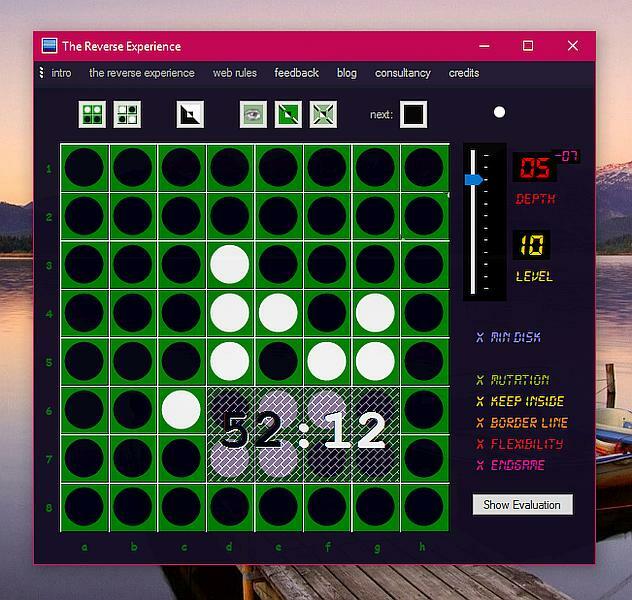 This is a chess game featuring a very powerful chess engine. Delightfully 3D rendered graphics and captivating animations. Play at many difficulty levels. Set the time for the computer to think. Play against a machine or a human. 3 logic games. Each game has 4 levels of difficulty. Tic-tac-toe is played on a 4x4 game board. Cram will remind you of Tic-tac-toe but played on a 8x8 game field. In the game Super Nim there are randomly placed pieces on the board. Bow Tie mahjong solitaire will make you look good! Wear this puzzle game anywhere, and you'll always be the life of the party. This unique version of the classic board game Mahjong Solitaire is a little harder, and has its own special tile layout.